While we tried to get recordings off all the sessions, only a subset were captured correctly. For most others, we have an independent audio recording. On the session schedule, a video is embedded wherever it is available, or the audio track where it was available AND where the speaker provided a copy or link to their slides. Looking forward to doing it again in 2013! DrupalCamp NJ is Sold Out! We're overwhelmed by the enthusiastic response form the community here in NJ (and surrounds). As much as it pains us to have to turn anyone away, we are in the last crunch to finalize logistics and make sure we have food, coffee, badges, and swag for everyone. If you missed out, don't despair! Another DrupalCamp is coming up soon and not far away: DrupalCamp Maryland. http://drupalcampmd.org/ A full two days form Feb 10-11. Also, there is still time to register for DrupalCon in Denver - non-stop Drupal! http://denver2012.drupal.org/ March 19-23. While we have comfortable capacity in the session rooms, the available lunch seating is more restricted. However, with some creative re-arrangement of the lunch service, we think we can fit a few more people into the event. Accordingly, a final 15 regular admission tickets have been made available. Once these are gone, there will be no more. If you have delayed purchasing your ticket, it's now or never! Thank you to everyone who has signed up already to sponsor the camp! If you are still thinking about sponsoring, we need to have confirmation and your logo by 5 pm (NY time) on January 27th. We'll use your logo image in the program and other materials. In order to sign up as a sponsor register at the site and create a "sponsor" entry. The program committee has settled on a name for the 4th track: Unleashing Drupal. We are still deciding on a couple more sessions to fill out this track, but the tentative session schedule is also available now. Tickets have been selling at an astounding rate the last few days - to the point where it looked as though they might sell out this weekend. In response to this surge of demand, we have made available 20 additional regular admission tickets. If you want to be part of this camp, please register soon! We have started selecting sessions for inclusion in the program and confirming the availability of those speakers. We are also adding a fourth concurrent track, so there will be something for everyone. Due to the number registrants and quality of volume of sessions submissions, we've decided to add a 4th track of sessions (yet to be named, but similar to "Anything Goes"). Because of this, we're extending the session submission deadline to 6 pm on Saturday the 20th. If you were thinking about submitting a session but missed the deadline yesterday, submissions are now open again! For the upcoming DrupalCamp NJ on February 4th, we need volunteers to help the day run smoothly. Please see more details and sign up on the groups site if you are willing to help. Due to popular demand, we will have a code sprint following the camp on Sunday, February 5th. The sprint will focus primarily around Drupal 8 core issues, but obviously other sprint groups can form as well. 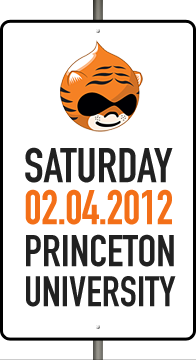 The exact location is TBD, but will be on the Princeton University campus, near to where the camp is being held, from 10 am to 5 pm. Please sign up on the groups site so we have an idea of how many to expect. If you want to submit a session proposal for the upcoming Feb 4 DrupalCamp NJ please be sure to have it in by 5 pm New York time on January 18th (next Wednesday). We have some great submissions already, but we'd love to see yours as well. We are planning to have the final list of sessions announced on January 21st, two weeks in advance of the camp.